This beautiful wall mounted unicorn head with a shiny silver horn is the perfect way to add a little magic to your home or would make for a great gift idea for children or those lovers of unicorns! 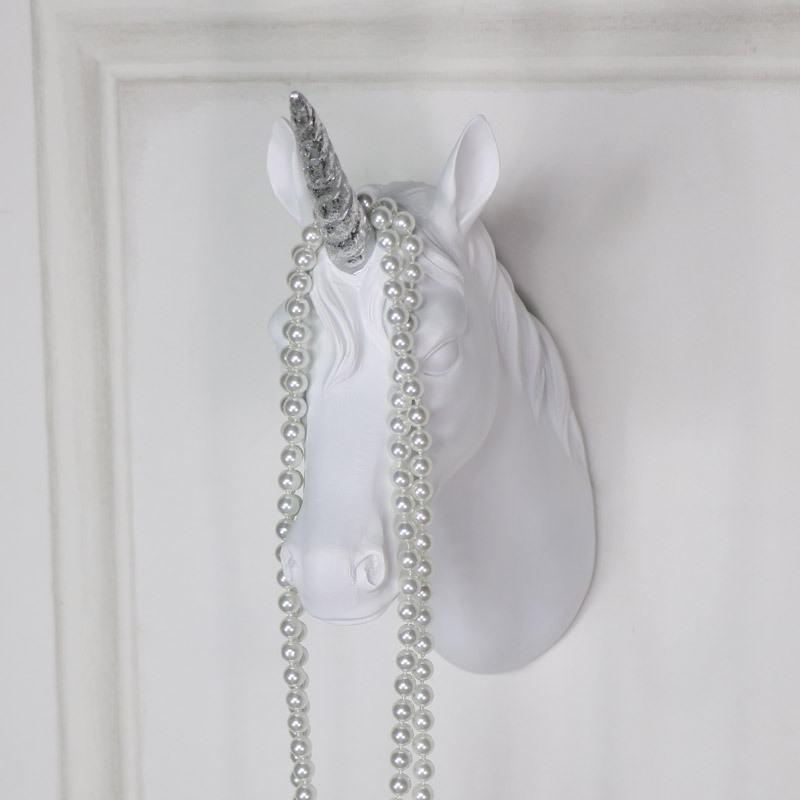 This wall mounted unicorn would certainly create some sparkle in your living room, hallway or bedroom. 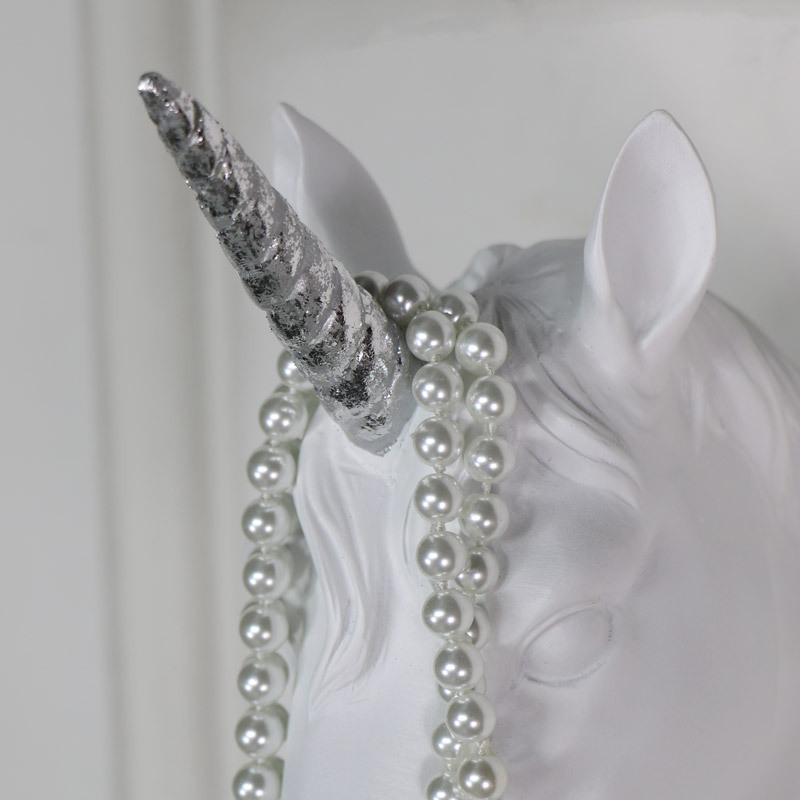 With unicorns now the ‘must have’ accessory it would be ideal for a little princesses’ bedroom and is just one of our wonderful additions to our extensive range of animal heads. Made from resin in a white painted finish with a shiny horn. Easily wall mounted with a hole on the back for hanging. We have an extensive range of wall mounted animal heads that will liven up your decor and add that extra 'wow' factor to your home. From the usual rustic country stag heads to the more fun and funky style.